Sew Serendipity: New Spring Collection: Meet Bebe! New Spring Collection: Meet Bebe! Wow! It has been a while since the last post. Things have been super crazy around here! Once I finished the third book manuscript at the end of February, I had to start right up on the spring collection and it seems that March and just about all of April just disappeared before my eyes! I did get a lot accomplished, so I am feeling good about that. You may also notice that the blog got a bit of a facelift, courtesy of my friend, Bari J! She did a lovely job making my new header and sidebar items. We will be attacking the website for a facelift there also....just as soon as we can carve out a bit of time to do it. Here is the first reveal of the spring collection, the Bebe Dress! This sweet little dress was so much fun to design. It is my take on a baby doll dress with a snug bodice and flowy skirt. This design has so many options! Since so many of you ask for sleeves on a sleeveless design, this one actually started with sleeves and then I tried out some facings to see if it was feasible...and it was! So now you will have the option to add two different sleeves or no sleeves at all. I have offered the skirt two different ways: pleated or gathered. I especially like the large inverted pleat. It has a lovely drape and because the pleat is deep, it creates a touch of definition in the waistline, giving it a flattering presentation. You will also have the option to choose two different lengths for the skirt. You can wear it short and sassy or longer and more subdued if that is better suited for your style. This dress zips up the back and this is where my tuturial for the invisible zipper comes in so handy. The zipper is such a snap to install this way. You can find it on the sidebar under Tutorials. Just read all of the great comments readers have left about how this tutorial has converted them! That just makes my heart happy. 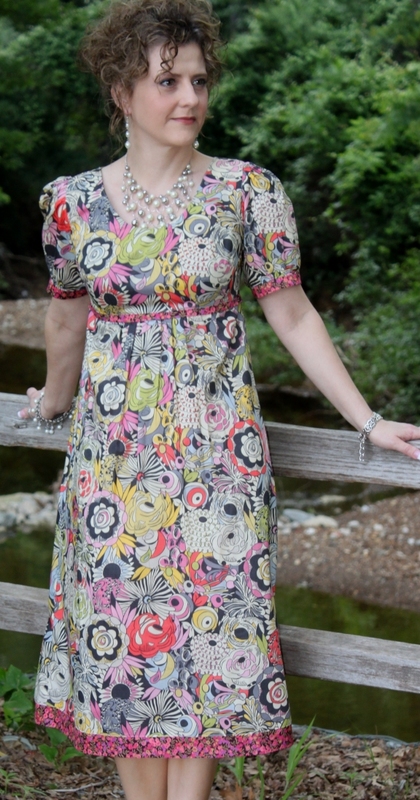 You can make this dress from a variety of fabrics. 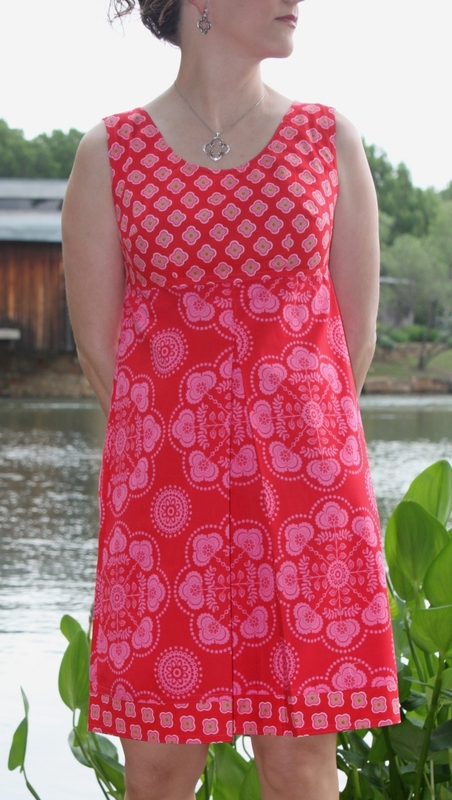 I mainly stick to quilting weight cottons, but this dress sews up wonderfully in cotton lawn for the gathered skirt variation. It would also do well in lightweight linen or a heavy silk. You might even be able to make it from a very lightweight twill or sateen. You will see that there are lots of options for adding different hems and trims to make the look uniquely your own. That's where I get to have fun with the design once the fit details have been hammered out. This and ALL new designs will be available as soon as we receive the stock from our printer, which should be in about TWO weeks or so. In the meantime, check out this eye candy and start gathering your fabrics! New Spring Collection: Meet Sally!